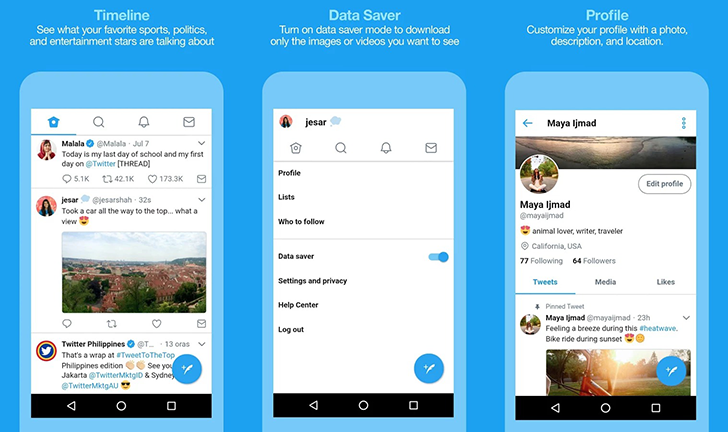 Twitter Lite is now available on APKMirror, so you can try it outside of the Philippines. You can grab it here. Twitter Lite was released in March as a Progressive Web App. Not only was it a significant upgrade over the previous mobile Twitter site, but it included almost all the functionality of the native app (including push notifications). In fact, it earned a spot in our best Twitter clients list a few months ago. Now it looks like Twitter has packaged the web app into an Android application and published it on the Play Store. At the moment, it's only available for users in the Philippines, and it appears to be identical to the existing web app. In case you're wondering, support for multiple accounts is still missing, so don't get your hopes up. Twitter told TechCrunch, "The test of the Twitter Lite app in the Google Play Store in the Philippines is another opportunity to increase the availability of Twitter in this market. The Philippines market has slow mobile networks and expensive data plans, while mobile devices with limited storage are still very popular there. Twitter Lite helps to overcome these barriers to usage for Twitter in the Philippines."